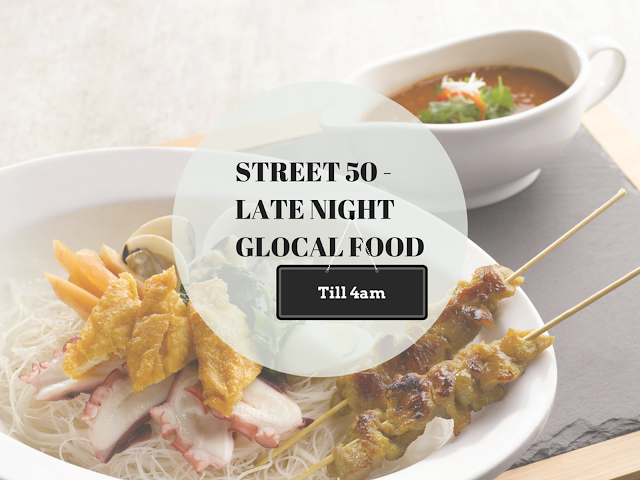 REJOICE, because there is actually a restaurant that serves reasonably priced glocal (global & local) food until 4 AM! HOORAY! 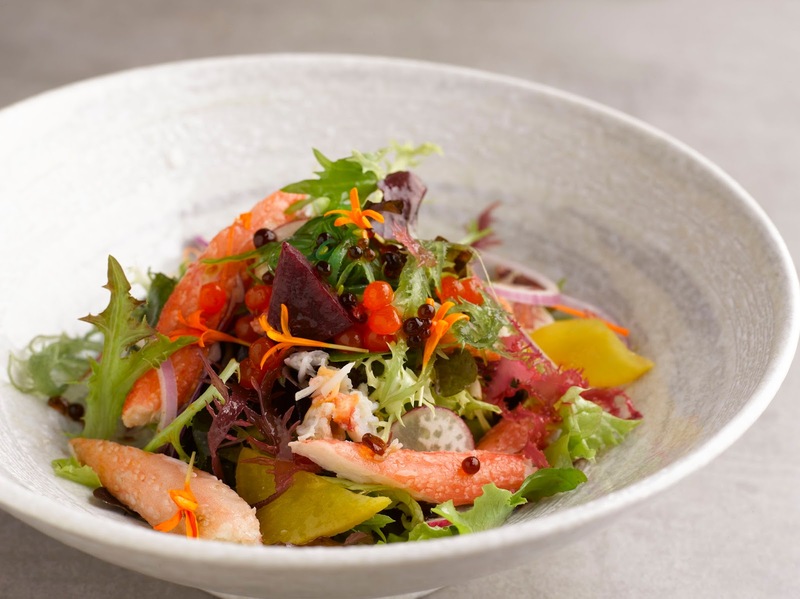 Located conveniently near Harbourfront station, Street 50 Restaurant & Bar recently launched a special Golden Jubilee all-day a la carte menu that serves famous international dishes with a local twist! 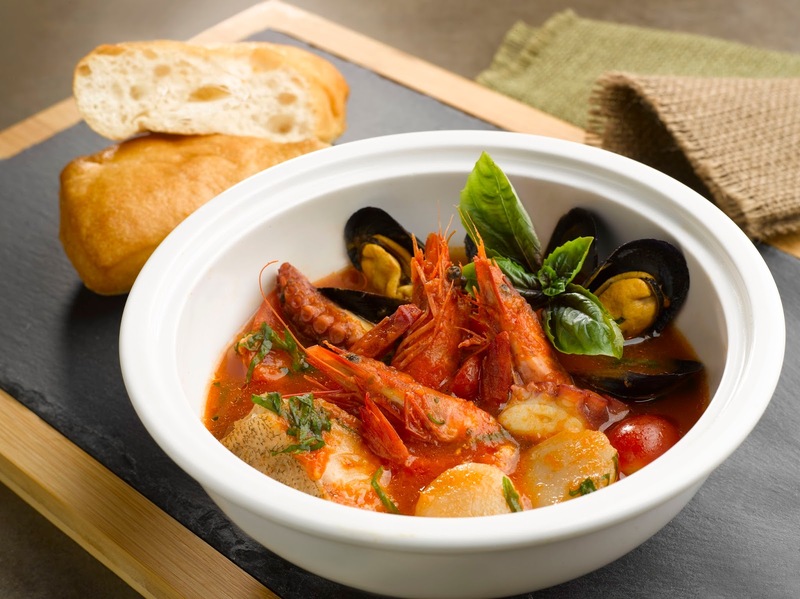 A mixed seafood flavoured with garlic, bay leaf and white wine vinegar, served with a chunk of country bread, this soup is flavourful without being too rich on the texture. Look at the amount of seafood crammed into this $8.90 Fisherman's Soup! This fisherman must have had caught up a haul to have prawns, scallops, clams and octopus in his soup. Fresh snow crab seasoned with herbs, accompanied with seaweed salad with pickles, wasabi, shoyu pearls and salmon caviar. For those who has late-night food cravings but still want to eat healthy. Call me "suaku", but I have never seen our Otah being served with seafood! Manila clams, giant octopus, Hokkaido scallops and coral garoupa buries a bed of soft, mildly spicy otah. The texture of this otah is more of those "chawanmushi" kind, rather than the firm texture we are used to have. However, I was told that you can request the otah to be "firmer" and they will do it for you! One of Street 50's signature dish, this Bay's Spring Chicken is deep fried with turmeric spices and served with coleslaw salad and fries. You can smell the aroma of the spices a mile away, which will prep your tastebuds for the tender and juicy chicken! It's amazing how they managed to keep the breast soft (stop laughing you this dirty human)! 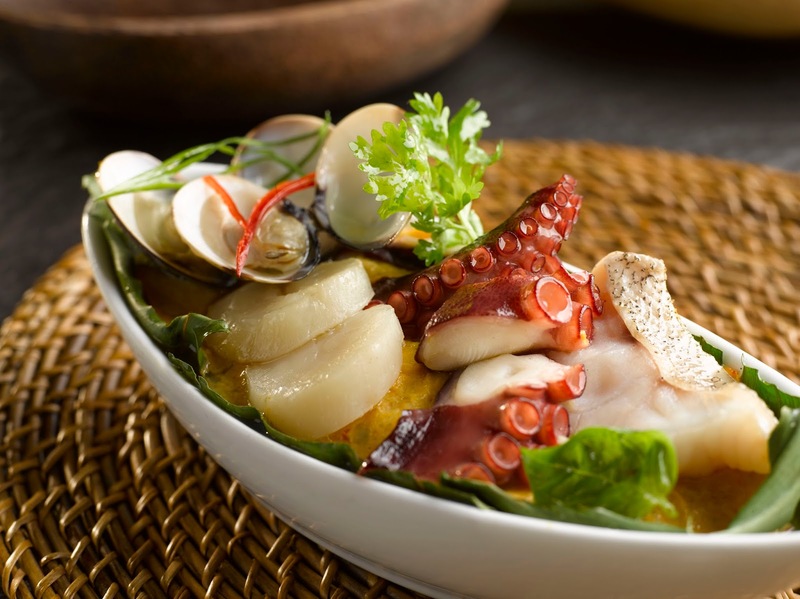 This has gotta be one of the most interesting fusion dishes in Singapore! 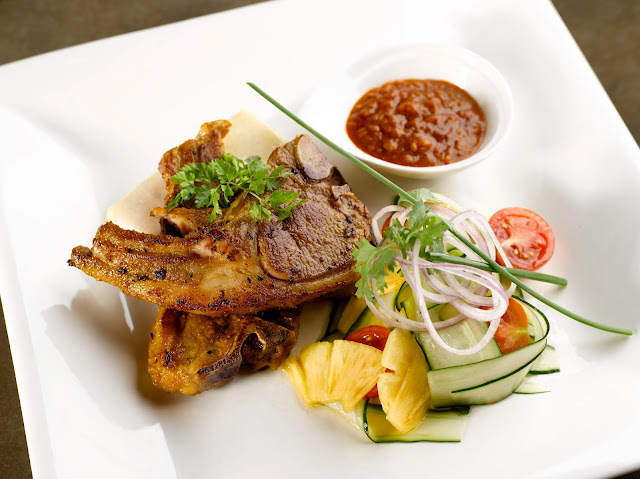 Creative in both the name and the presentation, this Satay Un-skewered is a juicy Australian lamb chop marinated with satay spice, accompanied by fragrant rice cake, pineapple salad and peanut sauce. This was just so good! The lamb was so tender, Mary wanted to send her little lamb to the chef of Street50 to cook as well. The spices marinated into the meat was a perfect synchrony with the peanut sauce, and the pineapple salad refreshes your palette for that subsequent mouthful of lamb meat! THIS IS A MUST ORDER! One of the main reason why I am not a fan of satay beehoon is that they are usually very "vegetarian". Aside from a few pieces of cuttlefish, almost all of the other toppings are non-meat. BUT I LOVE MEAT. MEAT IS LIFE. 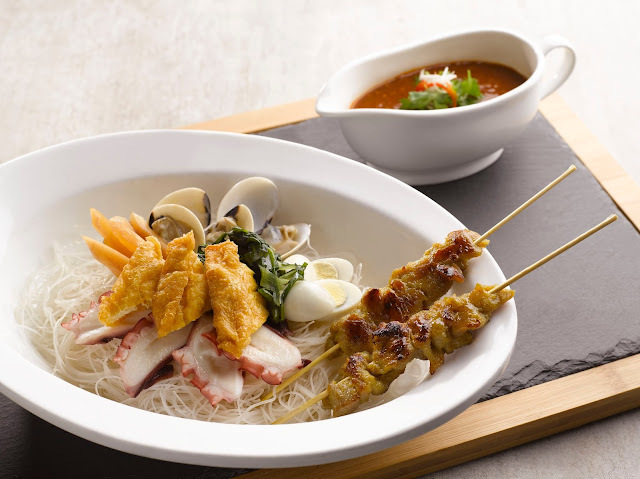 So imagine my delight when I saw clams and chicken satay on their version of SATAY BEEHOON! The satay sauce is very chunky and has a strong peanut taste, giving the otherwise plain beehoon a rich texture. The meat, seafood and kang kong toppings were really satisfying. Try this out if you are a fan of satay beehoons! Grilled Saba fish topped with sea salt flakes, piquant sambal onion chutney, asian salad and served with jasmine rice. Wasn't really to my liking. 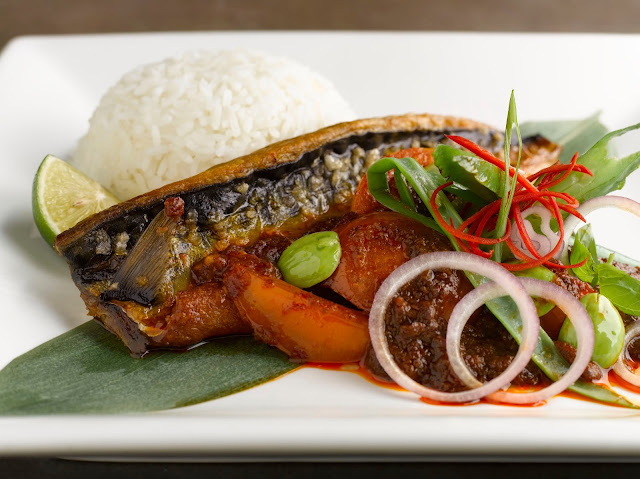 Skip the saba, go for the sambal! If you want something spicy for your salad, you can go for this. 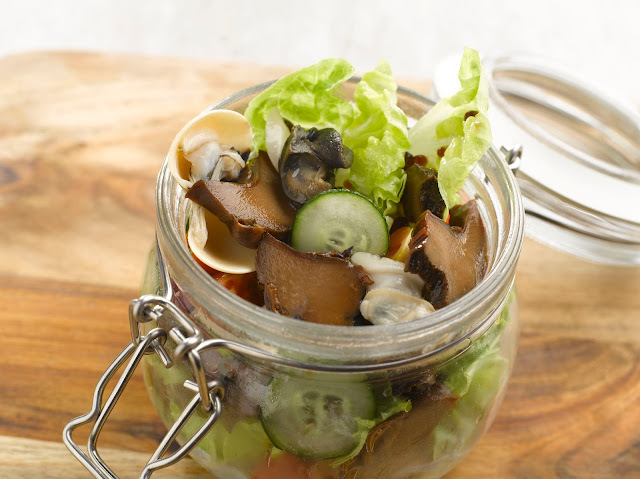 Californian manila clams, top shells and escargots served with a tangy asian achar salad and spicy cincalok dressing. And if you haven't tried escargots in your life, this is the time to try. You wouldn't even know you are eating snails. 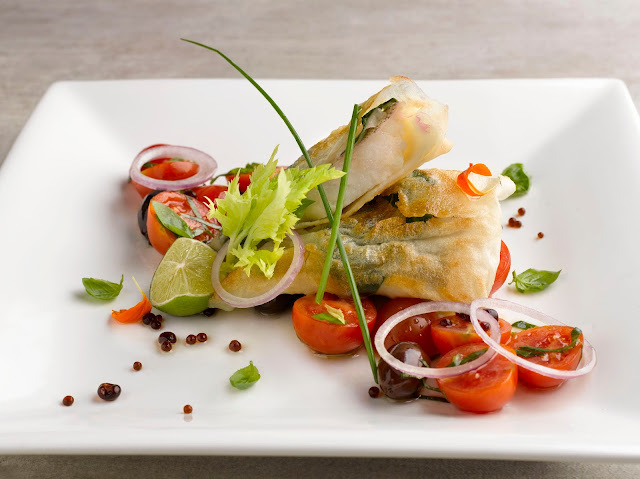 This is their garoupa fillet wrapped in popiah pastry with sweet basil, italian tomatoes, basil salsa, balsamico and extra virgin oil. I was quite intrigued when I saw this on the menu, as it is rare to see popiah being sold on hotel menus, what's more a GAROUPA popiah. I am actually not really a fan of fish, so I thought this was just okay. You can imagine the taste of this just by looking at the photos. 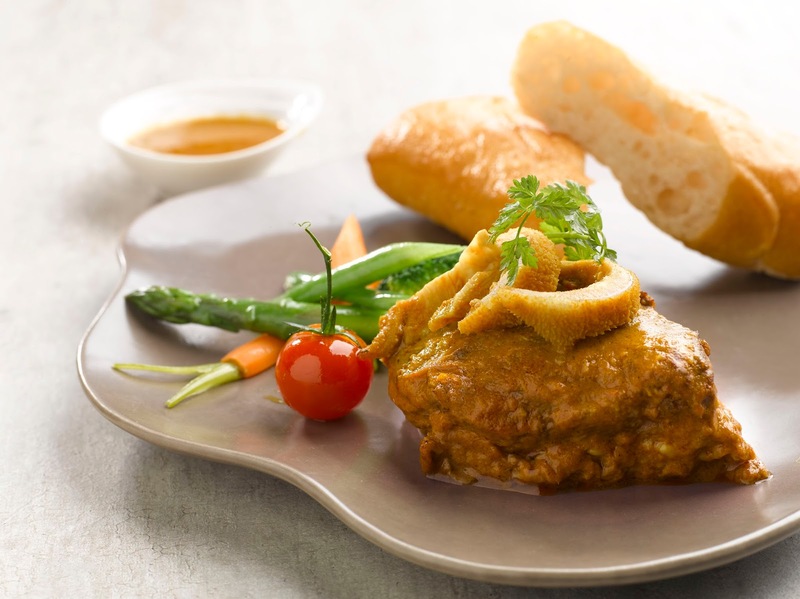 Another star of this menu: The veal cheek rendang. Braised for EIGHT HOURS to achieve a tender texture, the flavours on this one was a delightful harmony of sweetness and spices. And it was so soft, my grandma can chew this without her fake teeth! YOU GOTTA ORDER THIS! Find out how you can have this dessert for FREE at the end of this post! This is such a creative fusion - our local food bubur cha cha gets paired up with an international dessert creme brulee! 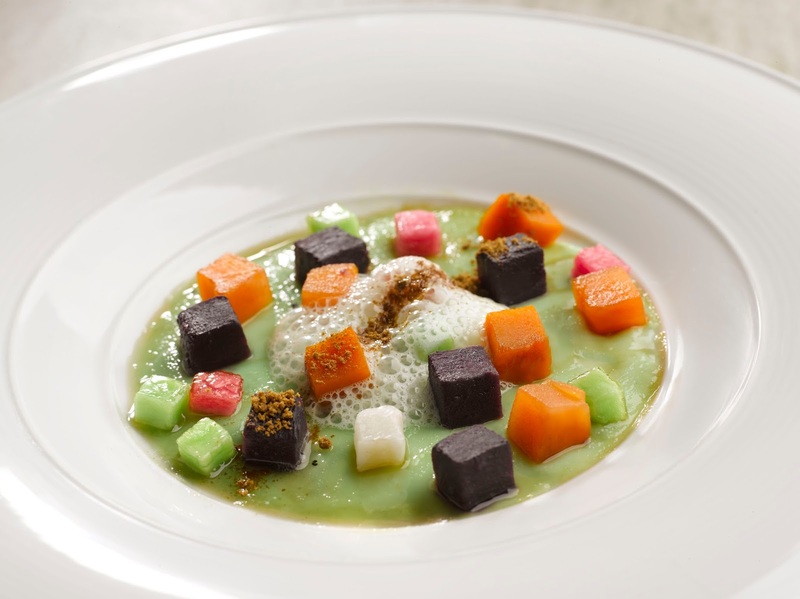 Braised yam, sweet potato, pumpkin and purple potato with rainbow chewy, drizzled with okinawa black sugar and coconut pandan foam makes up this Bubur Cha Cha Creme Brulee. This can be very sweet for some, but it is a very blissful kind of sweetness, not the 'gelat' kind. The caramalised sugar provides that crispy texture for the creamy bubur cha cha, while the yam and potato toppings balance the sweetness with their flavours. All of us loved this to bits! This was not bad, and as I mentioned on my Instagram, the addition of the dehydrated pineapple was a nice touch. You can break the pineapple into smaller bits and mix it together with the Durian Pengat for a crispy texture! Get the Bubur Cha Cha Creme Brulee for FREE, YES FREE, simply by showing this blog review! - At least 3 main courses ordered. Valid till 31st Aug 2015. For more information, visit www.bayhotelsingapore.com or their Facebook page. Thank you Aloysius, Christine and Street 50 for the invite and hospitality!